1 For CHICKEN, combine Knorr® Chicken flavor Bouillon with lime juice in medium glass bowl. Microwave at HIGH 20 seconds; stir. Add chicken and toss to coat. 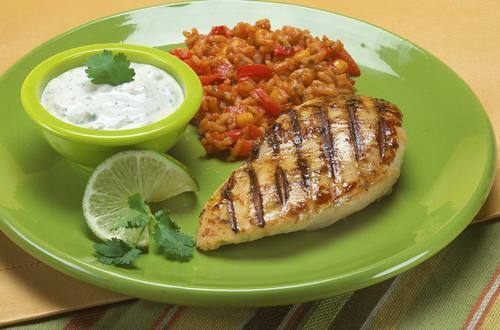 2 Grill or broil chicken, turning once, until chicken is thoroughly cooked. 3 Meanwhile, for DIP, combine all ingredients in small bowl. Serve with chicken.